Ilguilas Weila, founder of Niger anti-slavery NGO Timidria, has been exonerated of any wrong doing after a court threw out an attempt to have charges of defamation and fraud brought against the activist. 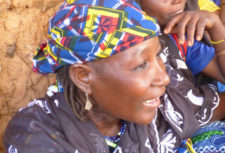 Weila was arrested and imprisoned for two months following an attempt in March 2005 to free 7,000 people in slavery in Inates, west Niger. The mass release was banned by the Niger Government who then accused Weila of lying about slavery in order to personally profit from a £2 million grant to help rehabilitate the slaves. The original charges were dropped against Weila in 2006 but the case was reopened in February 2010 following an appeal by the then public prosecutor, who along with the rest of the previous regime, was ousted from power following a coup soon after the case reopened.